Theme Portal Marketplace , is a script by which you can easily setup your own digital store. If you are looking to sell your WordPress Theme , Plugins , Scripts or any Other Digital Content you can use this script and setup your store in minutes. 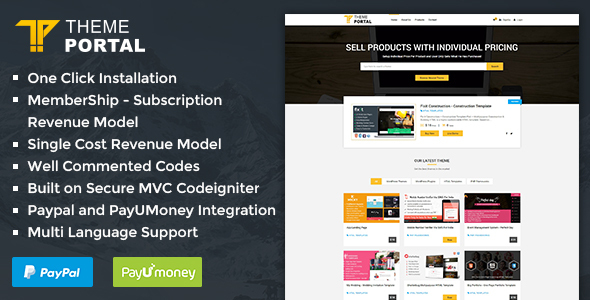 0 Response to "CodeCanyon - Theme Portal Marketplace - Sell Digital Products, Themes, Plugins, Scripts"